Project Zero! Resi 4! Binding of Isaac! Freedom Planet! Much, much more! It's the start of another week, but Nintendo fans in Europe at least have the download update to cheer their spirits. This week's edition seems to be a bit of a doozy, in fairness, with a mix of in-demand titles across both Wii U and - notably - the New Nintendo 3DS / 3DS; on top of that there are a whole load of enticing discounts. Let's get straight to the details. Project Zero: Maiden of Black Water (Nintendo / Koei Tecmo, €49.99 / £39.99 with free initial download) - Unlike in North America this download release is also accompanied by a physical retail limited edition. This is a typically chilling entry in the series, which also utilises the GamePad's controls for the Camera Obscura. We were fans of the setting and much about this game, though it does have a few flaws - you can get the full lowdown in our Project Zero: Maiden of Black Water review. Prologue and first two chapters are available as a free download, available from 30th October. 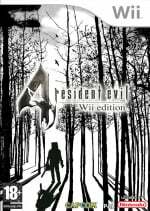 Resident Evil 4: Wii Edition (Capcom, €14.99 / £13.49 until 5th November, then €19.99 / £17.99) - It revolutionised the series when it first arrived on GameCube, and this Wii version includes Wii Remote pointer support and the Separate Ways add-on that was previously a PS2 exclusive. We absolutely loved it in our review and have praised it in various articles over the years. The Binding of Isaac: Rebirth (Nicalis, €14.99 / £13.49) - Originally developed and released by Edmund McMillan (one half of Team Meat), this has been a long time coming in Europe. This Rebirth edition has improved visuals, new characters, over 100 new items and more in comparison to the PC original, all within the procedurally generated dungeon crawling approach that earned it so many fans. We enjoyed this a lot in our The Binding of Isaac Wii U review. Freedom Planet (GalaxyTrail, €13.99 / £10.99 or €11.89 / £9.34 untl 19th November if you downloaded the [email protected] E3 preview) - Though this started out as a Sonic fan game it expands on its source of inspiration, introduces its own world and makes adjustments to give itself an identity of its own. It's an impressive achievement, and we gave it a strong recommendation in our Freedom Planet review. Slender: The Arrival (Blue Isle Studios, €6.74 / £4.79 until 5th November, then €8.99 / £6.39) - This sequel to 'that game that everyone pretended to scream about on YouTube' has arrived on a host of platforms, and this Wii U version arrives just in time for Halloween. This Wii U entry does have the unique feature of controlling the flashlight with the Wii Remote pointer, and is sure to entertain those that enjoy some old-fashioned jump scares in their gaming. We'll bring you a review soon. 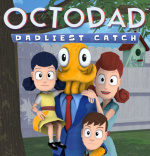 Octodad: Dadliest Catch (Young Horse, €11.19 / £9.59 until 5th November, then €13.99 / £11.99) - Already a firm favourite on other systems, Octodad is the story of an octopus pretending to be your average suburban father. To keep up his cover he must perform all the typical tasks a dad does - mowing the lawn, caring for his kids and being an attentive husband to his wife. 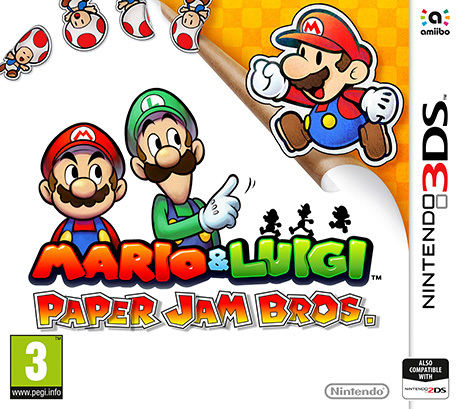 It's utterly mad, but fantastic fun, and we'll see how this Wii U version stacks up in a review. The Binding of Isaac: Rebirth (Nicalis, €14.99 / £13.49) - This portable iteration is only available on the New Nintendo 3DS, and though it's packed with all of the core content it doesn't have the local co-op mode. This fully patched version earned our praise in our The Binding of Isaac New 3DS review. Escape from Zombie City (Tom Create, €2.99 / £2.69) - A frantic shooter from a top-down perspective, unsurprisingly your goal is to take out a whole lot of zombies, with some different game modes to add freshness to the constant gunplay. Though it maybe doesn't do enough to stand out from the crowd we gave this a modest recommendation in our Escape from Zombie City review. Shin Megami Tensei: Devil Survivor 2 Record Breaker (NIS America, €39.99 / £34.99) - Despite its remarkably long title and initial status as a remaster of a DS title, this is far more than it appears on the surface. It takes an excellent RPG experience and enhances it, before throwing in a new story arc that effectively doubles the content on offer. You can read our detailed Shin Megami Tensei: Devil Survivor 2 Record Breaker review for more details. That's the full line-up for Europe this week - let us know what you plan to download in the poll and comments below. I have retail version of Project Zero preordered, so I'll get that. Other than that, there's not much, but I'll take that Chibi-Robo demo gladly. Will try the Chibi Robo Demo, have got The Project Zero Retail, feel it'll at least have great resale value if I don't like it (was more expensive than I'm comfortable paying for such a game). I'll likely get Freedom Planet later in the year so for now it's nothing again. Still worried the Club Nintendo replacement may end up being an XBL Gold/PS+ equivalent. Awesome to see Binding of Isaac finally coming to Europe, shame it's not cross platform purchase enabled. Now if Nicalis could release 1001 Spikes and Ikachan next for example. I wonder how long we will still have to wait. Shame no Sega 3DS themes still, hopefully those are coming soon! Going to be big week for Project Zero/Fatal Frame. Hopefully my physical copy of the game will be sent this week. E: I stand corrected, 1001 Spikes came already to Europe! I just cancelled my LE Maiden of the Black Water and I'll just go digital so I can redownload it later on my Disc-drive-less NX console in the future. I will try the Zip Lash demo and make my boyfriend try the Fatal Frame demo. Probably I will buy Tekken Tag Tournament at this price. I am also into buying Binding of Isaac for 3DS and maybe even Project X Zone (I tried the demo and didn't really enjoy it; I don't really have a relationship to any of the characters, but I heard a lot of praise about the series...). And I will totally get Record Breaker physically!! I think you mean Australia? Binding of Isaac, finally. Getting SMT:DS2 later, still haven't beaten DS1. Freedom Planet probably, got the limited edition of Project Zero on pre-order still, despite my disappointment with choices made in the localization. I don't want the series to die. Definitely getting the Project Zero and Chibi Robo demos, because everyone loves free stuff. I also really want Octodad, but I'll wait for a review, just in case the port has been butchered somehow. I'm downloading Slender this week. I have limited edition project zero on the way in the post and I already own Octodad: Dadliest Catch for Wii U before anyone else since last Thursday! it's hilarious! @Kolzig 1001 Spikes was released in Europe at the beginning of the month. RE4, Freedom Planet, Octodad and Chibi-Robo demo for me plus PZ physical. Crazy week. Binding of Isaac! Maybe Freedom Planet, but that might have to wait until next week or later. Still looking forward to Typoman. You are correct, my bad! So we are just missing Cave Story creator's Ikachan then, only soon three years late at this point. Released in North America in January 2013. And of course 90's Arcade Racer, which is missing still everywhere and is over two years late at this point from it's original release date. Wow, that's a great update week for the Wii U eShop! Yay! Freedom Planet! Didn't expect till early November. Hope that small cut scene bug they found following the U.S. release has been patched. Project Zero LE is on order and its shelf spot is reserved. @Splatburst Wow, there is so much questionable optimism and speculation in that sentence I don't know where to begin (although the emoticon does make me question the truthfulness). @Kolzig Hopefully once that universal rating sytem arrives it'll make things a lot easier and quicker.90's Arcade Racer is another thing altogether,I wouldn't be surprised if it never came to Wii U. I've not checked the Kickstarter page for a while but I can remember reading a lot of complaints abut the lack of updates,I'm waiting for Insanity's Blade myself,its release on Wii U was supposed to be imminent but that was well over 1 year ago haha.I think it might be a case of a dev promising far more than they can ably deliver. Octodad. Great that it's coming to WiiU finally. On a completely unrelated note,I was at the Thai immigration office a little while ago for a visa extension and the guy behind the desk was the spitting of Reggie,albeit a South East Asian version.I really struggled to keep a straight face. Chibi Robo demo? Great! I've really been looking forward to that game. Freedom Planet for sure I'm always up for Sonic-esque games and this one looks really good! I'll get Fredom Planet and Octodad,but later. I have Octodad on another system and recommend it to anyone who enjoys unique, quirky physics based games. The writing and voice acting is better than expected and co-op play is a laugh. It can be frustrating when precision and speed is required though. It's great to see a game like this on Wii U, hopefully the port is a good one! I'll be getting Devil Survivor 2 Record Breaker on retail. Day one, no questions asked. Wow... no virtual console at all. Devil Survivor 2, finally! (though I will probably be getting it via retail, because reasons). I'm half kidding. I already went digital and realized that I don't really want the artbook, poster and steelbook included in the limited edition. If it was a figurine included though, I would have kept it. Wow no Wii u vc in pal so we must have a direct soon. I'm going to be skint. Luckily pay day is next day. Edit: I've added it up, it's not bad at all. Still, that's more this week than there's been in a while. So many good games this week! Physical edition of Project Zero and Chibi Robo demo for me. I might also check out Freedom Planet. The gameplay of Binding of Issac looks fun, but I'm put off by the visuals so I probably won't get it. One day Nintendo of America will realize that to make money you have to put games on the market and we will see all these Virtual Console games that Nintendo of Europe releases. Some great stuff there if you don't own another console that's already received those indie games! Freedom Planet and Slender sound interesting; got a physical PZ5 hopefully arriving next Monday or so. You guys seem to think everything means a direct soon. If US gets these deals will probably pick up both S&S2 and One Piece World Red. US usually get the Euro price, not UK, correct? So am I really the only person bothered by all these sales week after week but there are hardly any Nintendo games on sale? Ever. Nintendo has VC gsmes, Wii games, downloads and Wii U games to choose from, they can't rotate those? It does seem like EU has had some sales on Wii games at release but the US doesnt. Though I think US is still waiting on a couple of those games entirely. And I still don't understand why EU gets a Monday update but US has to wait for Thursday when both eShops update on Thursdsy. oK, last time I bring up either of those. I'm bored sitting in the garage waiting for my $45 transmission fluid change which jumped to $180 when I got here. I hate garages. Pleasantly surprised there's a trial version of Project Zero. Since the physical edition is already sold-out here (world is a cruel place) I'll probably go with digital if the first levels will make a positive impression. Only need to delete... well, pretty much most of the stuff I have on internal memory. Or maybe it's time to get an HDD? Either way, I'll be getting the NN3DS version of Binding of Isaac... finally. I've been waiting for Freedom Planet so I'll grab that, and wait for my physical copy of Project Zero to turn up. I've already got Resi 4 Wii Edition on disc or I'd have considered that too. @ThomasBW84 Oh thanks, I missed that story! I'm getting the collector's edition of Project Zero: Maiden of Black Water and already have Resi 4 on Wii. Anyone tried both versions and knows how different the Onepiece Unlimited are, between Wii U and 3DS? Thanks in advance. @Splatburst i really hope NX is backward compatible with atleast some digital Wii U and/or 3DS games. According to a Nintendo Newsletter I got last week, the Project Zero test version should have been out last week already. But, well, it wasn't. At least, it comes out at the same time as the full version is released and not afterwards. What about "The binding of Isaac"? Will this appear in the German eShop,too? IIRC, there were some USK problems regarding this game earlier on. If they really should go the way of stronger hardware this time with the NX chances are that there won't be backwards compability just because of costs as reason. Afaik, Nintendo have implemented it as hardware on the Wii/Wii U, haven't they? @Ambermoon that's why i'm not waiting to see every game to be backward compatible but example Gameboy, NES, SNES & etc. Virtual Console games should work in their next system without need to rebuy everything. Not a bad week for Europe! Tempted by Binding of Isaac 3DS, but I think it might be a bit too pricey. Nice week think I'm gonna quadruple dip and get resi 4 again a bit of slender and Tekken is to cheap to turn down. Not quite sure i understand this 'Project Zero: Maiden of Black Water (Nintendo / Koei Tecmo, €49.99 / £39.99 with free initial download) - Unlike in North America this download release is also accompanied by a physical retail limited edition' anyone ? If you haven't got Tekken Tag 2, it should be on your list at that price. Freedom Planet for me this week. @Captain_Gonru not on mine I just got another monster hunter one. @XyVoX - There is/was a physical edition with a bunch of stuff in Europe, but not in North America. The physical copies that won't be put up on eBay or similar have most likely already sold out pretty much everywhere, so there's only the eShop release for the rest. There are no other physical releases of PZ5 in Europe or North America. The eShop release is set so that the first two chapters or so are free, at which point you can buy the rest of the game on eShop for the stated price. Did this help at all? @ULTRA-64 I really enjoyed the demo of Typoman too. Something a bit different. Worried? If done correctly that would be awesome. Nope. We don't get it every week. But we do usually get two or three VC games every other week. We got some last week and we'll get some next week. Have Project Zero and Shovel Knight arriving this month so may lay off the eshop games while I dig into those. Binding of Isaac will be in my library at some point and maybe Freedom Planet. Quite a few good games too download this week on both systems. Keep it up Nintendo!! @Kolzig I was so excited for '90s Arcade Racer, I love games like Daytona, OutRun, Ridge Racer, etc. It's such a shame it seems to have become vapourware. I think at this point even if it does come out it will probably be a bit mediocre, the developers seem to have had too many technical struggles making me think they don't have the skills needed to do the idea justice. Okay, Resident Evil 4 is discounted but a Wii port of a GameCube game for €20 is so dated when you compare how much value you get for your money on any other platform! A great game, nevertheless. Project Zero is my choice this week and the first Wii U game I buy since Yoshi's Woolly World back in June, nothing interesting for Wii U lately and extremely happy about this game reaching Europe and America. Is Pac-Man and the Ghostly Adventures worth £8.99 on Wii U? Freedom Planet and Project X Zone for me. @ThomasBW84 Would it be possible to show screenshots of the 3DS themes in these listings? Or provide a link?